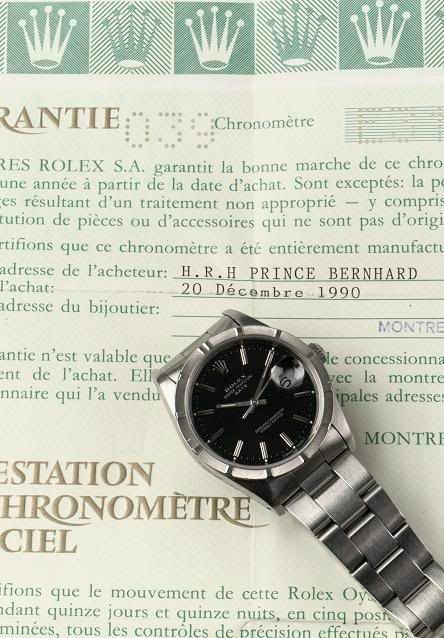 The auction of his Rolex Date took place on the 3rd of April and it fetched 10.000 euros. Adding the premium for Christies, it will be 12.000 euros the buyer has to pay. Christies said in an interview (with GeenStijl.Tv) ?Ç¬?that it was his holiday watch… Could be, but he has been spotted with his Rolex OysterQuartz Day-Date in yellow gold numerous times. Click here for the interview (it is in Dutch, the auction is in English however).